Your computer must have cough syrup in freezing weather? I wrote an article in the danish journal “Alt Om Data” (no. 4, 2013). 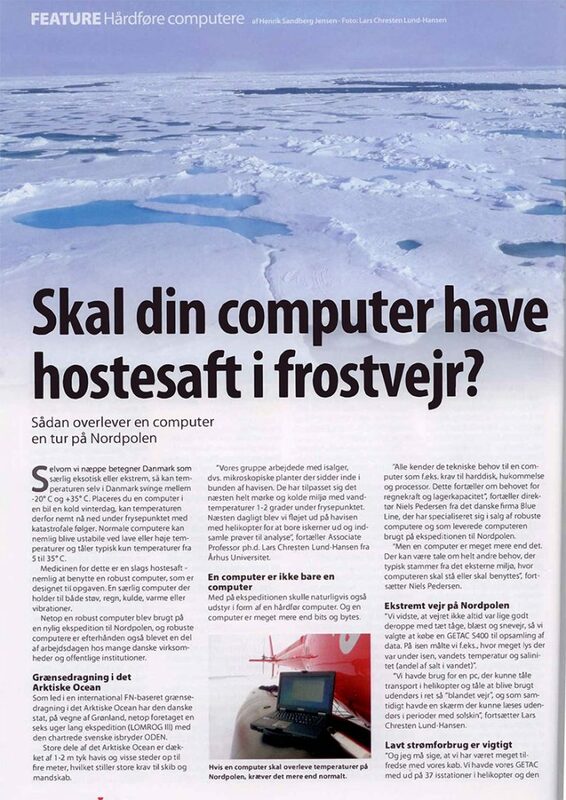 This article discusses an expedition to the North Pole with computers from the Blue Line.